Sunbeam Television’s Boston and Miami stations have unveiled new online homes. 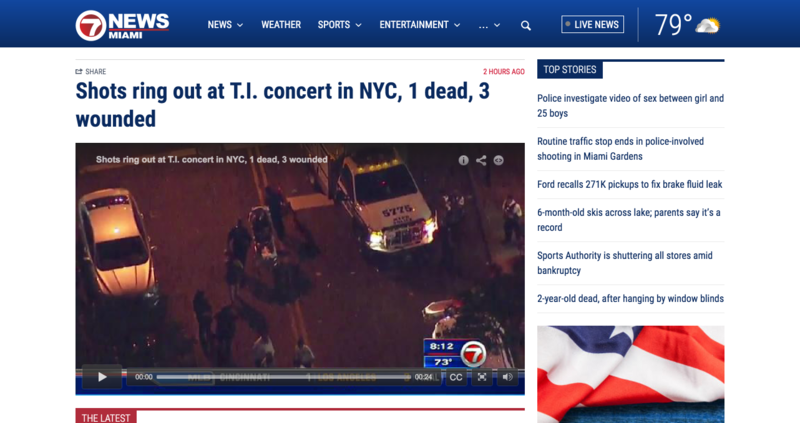 WHDH-TV, Boston’s NBC affiliate, and WSVN-TV, Miami’s Fox affiliate, both rolled out new websites that use the same design. The new layout features a prominent blue bar with mutli-column dropdown menus and widespread use of a condensed font. Content, meanwhile, is arranged in box-like sections with light gray rules separating certain elements, but otherwise the design mostly avoids an overly boxy look. It’s interesting to note that the stations, which are known for their over-the-top and splashing graphics and presentation style (more so at WSVN-TV), don’t feature flashier websites. Even the header design, which is typically where stations have the opportunity to incorporate imagery borrowed from the graphics package, is kept at a simple gradient blue.